Which city belongs to you? and experience in jewelry design processes, jewelry making and exhibiting. 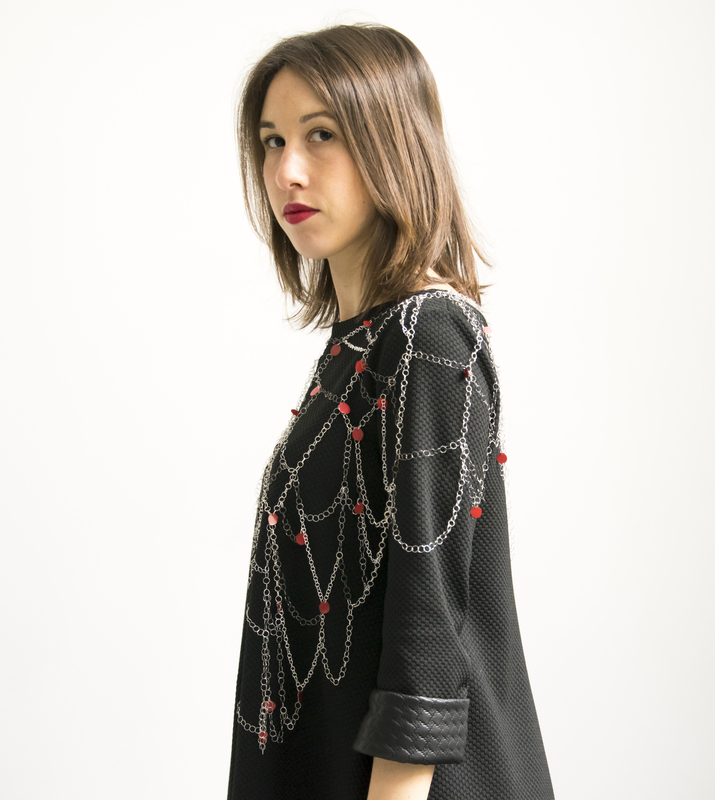 She holds a Masters in Contemporary Jewelry and Body Ornament from Alchimia Jewelry School in Florence, where she was mentored by Belgian designer Nedda El Asmar. She has a bachelor’s degree in Fashion Design from Politecnico di Milano. For three years, Giulia lived in Cairo, where she contributed to the setting and opening of the Middle East’s first ever jewelry school, set up by the pioneer and award-winning designer Azza Fahmy – “The Design Studio by Azza Fahmy”. While there, she worked as a teacher and an assistant to the director Estela Saez. Her work is focused on the project 1:20.000, a collection of maps in shape of jewels. 1:20.000 was exhibited in her first solo show in Turin at Officina 500, later in Melbourne at Bini Gallery and has been at exhibitions around the world. She is currently collaborating with Ied Milano as a teacher for the Jewelry Design Course and she organizes workshops in different schools. With her work Giulia Savino raises questions of identity and affiliation, such as: Where do we belong? Can we say that a city belongs to us? If so, then we may have it, like an object, taking it with us wherever we go. Crossing the world feeling our identity in constant change. We often look at the city from up, at the height of the clouds, where everything turns into a grid of lines and geometric shapes…And so, everything looks small and neat, making us believe that we can grab it all and hold it in one hand. 1: 20000 is the creation of that instant when something huge is in our hands in which we have the feeling to be in that place owning that place. 1: 20000 is a compilation of maps, a collection of cities in form of jewels. As “the map is not the territory” but just one of the many possible representations of reality, each jewel is a personal interpretation of the city that takes / loses its shape in the interaction with the body. 1: 20000 is the research of our identity, complex as mazes of streets, in movement as travelers, precious and delicate as jewels. The project is conceived as a never-ending journey across the exploration and analysis of the urban planning, social interaction and the contemporary jewelry world. At each stage the collection grows and it is enriched with new work and experience. Each city has its own charm and the whole collection responds to very contemporary needs as mobility and flexibility; the jewels are seducing and light objects, taking up very little space and adaptable to different contexts. They are cities to own, wear, appropriate and interpret.